Hi ladies!! How have you all been? I hope you're all in a festive mood and getting ready for a well deserved break (for those who aren't working!). 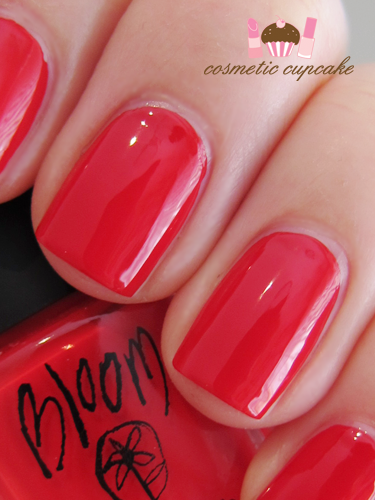 Today I have for you some quick swatches and my review of a lovely mini Christmas nail polish set from Bloom - the Classic mini nail polish collection. 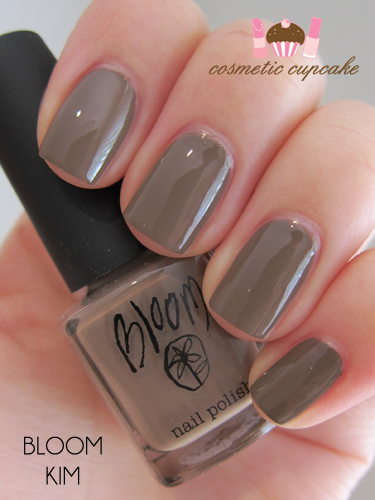 "Four classic must-have mini Nail Polish shades in our famous high-shine, chip resistant formula. Contains: Millie, Kim, Edie and Toni." 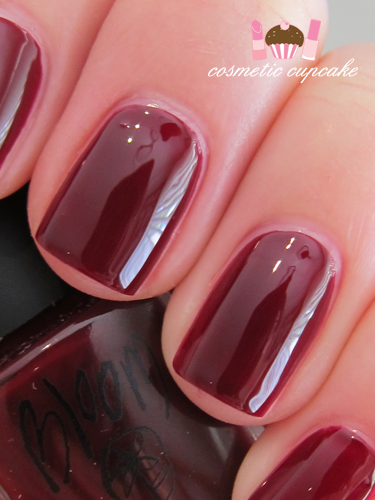 Millie is a beautiful vampy dark wine jelly. 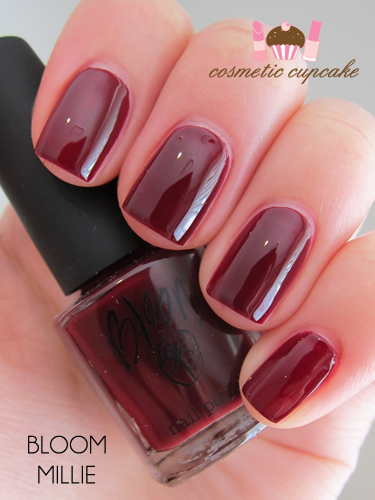 I adore jelly polishes as you might know! I love the colour of Millie but I found application somewhat difficult so please excuse the crappy application and the weird lump on my middle finger. I think it might be the brush for my bottle that made application difficult..? I'm not sure but the formula was OK and like other jellies dried to an amazing shine. You can see my reflection in my nails! 2 coats is pictured. Kim is a classic mushroom creme. It's very opaque and applied wonderfully. 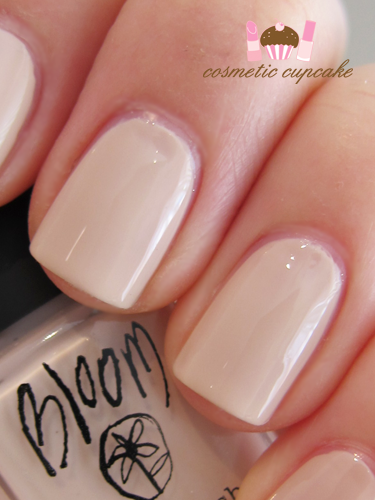 I always say this with these shades but it's a very work appropriate colour! 2 coats is pictured. Edie is a stunning orange based red creme. It is absolutely STUNNING! I did not want to take it off. It's super pigmented and applied like an absolute dream. 2 coats is pictured but only 1 is really needed. Toni is a very chic seashell coloured creme (that's what wikipedia says!). This one took me totally by surprise - I didn't expect to like it and it's my favourite colour of the four. It's just beautiful and looks so so elegant. There was some slight balding but it leveled out nicely and dried to a glossy finish. 3 coats is pictured. 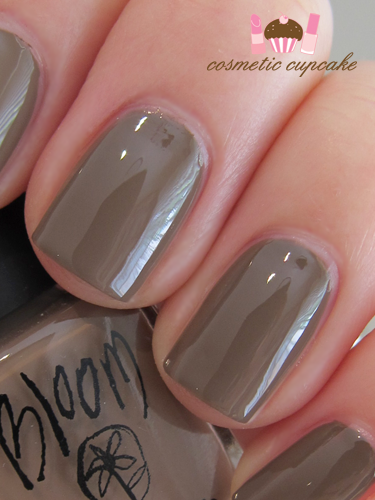 Overall: These are 4 gorgeous classic shades from Bloom! 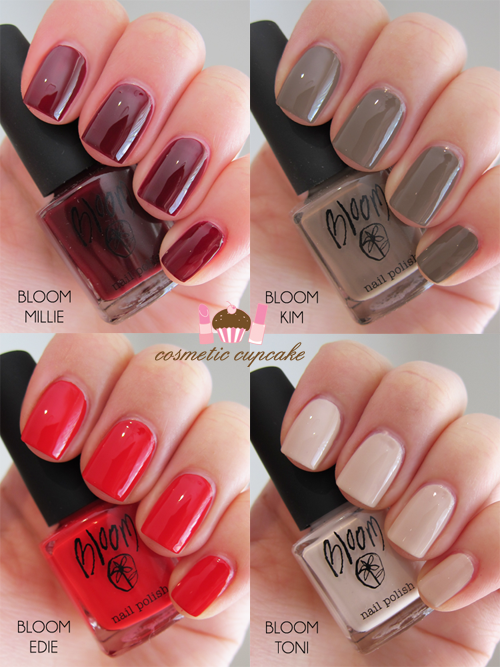 The colours aren't earth shattering but it's a classic collection so of course it's to be expected ;) The formulas on these were very good and apart from Milllie they applied well for me. They dried quickly and to a very glossy shine. For a mini collection the bottle size is the best I've come across! They're really well sized and the brush is very reasonable. The mini collection would make a fantastic Christmas gift or stocking stuffer so if you need a last minute gift idea I definitely recommend you pick this up! It doesn't break the bank and the shades can be worn all year round which is great. 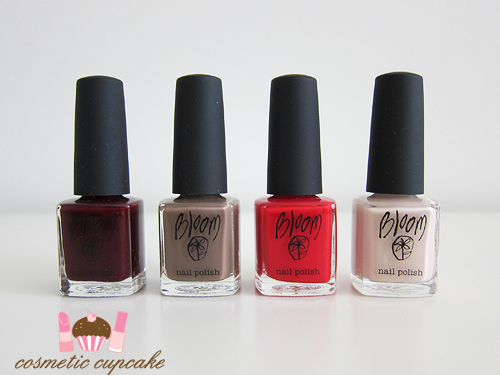 They are perfect work colours which make a great staple for any polish collection! 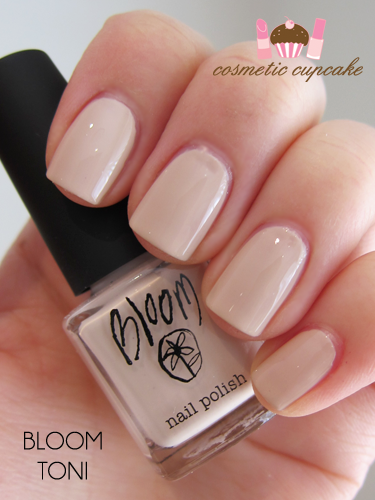 Details: The Bloom Classic mini nail polish collection can be purchased from Myer and David Jones stores and Bloom online store for $24.95. All these colours are so yummy! Kim and Toni are really pretty. they look cute! love the first and last! omygosh! the finish on these polishes look amazing! for $30 that's a bargain! usually in the nail polish sets there is always one colour i dislike but this one i love em all! I love Edie, it's so bright and festive!